3. Professional, such as worksite applications for workers and contractors. The Portable Generator Manufacturers' Association (PGMA) is a trade association that seeks to develop and influence safety and performance standards for our industry's products. 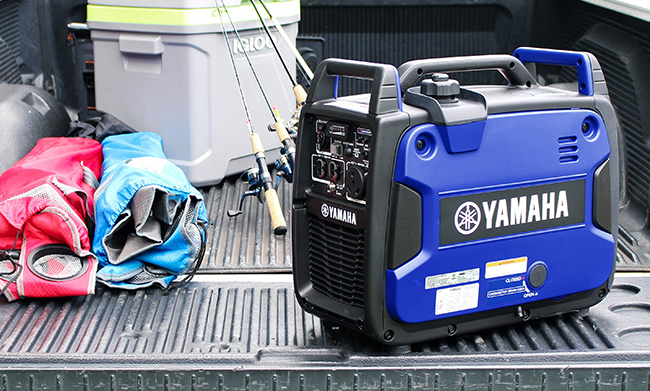 The Association is also dedicated to educating consumers on the safe use of portable generators, and has developed the Take it Outside™ campaign to support its mission. Formed in 2009, PGMA members include major manufacturers of portable generators sold in North America and a significant majority of the industry. The Definition: "Portable generators" are engine-driven power generators that are intended for multiple uses and designed for portability, though not necessarily with wheels. Portable generators, by our definition, do not include trailer-mounted generators, generators in motor homes, generators intended to be pulled by vehicles, and standby or stationary generators that are permanently connected. The Portable Generator Manufacturers' Association is pleased to announced it has received ANSI approval on its revised PGMA G300 Standard. The designation of the revised Standard is ANSI/PGMA G300-2018. Please click here for more information. PGMA urges that all portable generators be used safely and in accordance with the owner's manual provided by the manufacturer. Our members include major manufacturers of portable generators sold in North America. They represent a significant majority of the industry. See our list of members and how you can contact them. If you are a manufacturer of portable generators, you have much to gain by joining your industry's official association. • "Having a voice" is a key benefit of membership, particularly when the issue involves a product standard. Read more about member voting rights. • There are specific criteria that make you eligible for membership in PGMA. Do you qualify? Read about who can join. • Joining PGMA requires completing an application form, an initiation fee, and annual dues that are paid by all members. See our Web pages on How to Join. • For the latest membership dues rates, call: PGMA at 216-241-7333.